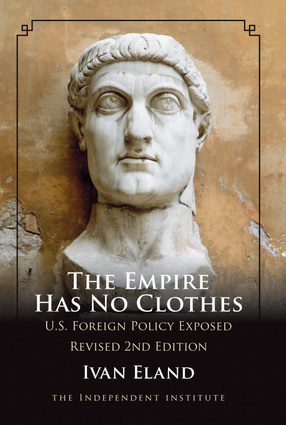 Delving into the concept of the United States as an empire, this investigation examines U.S. interventions around the world—from the Spanish-American War to the invasion of Iraq—demonstrating how they not only contradict the principles of both liberals and conservatives but also make a mockery of the Founding Fathers' vision for a free republic. In recent years, "blowback" and the enormous expansion of federal power have threatened the American homeland itself, curtailing the liberties these interventions were supposed to protect. This book, however, exposes the flaws of U.S. interventionism and advocates a return to military restraint. Ivan Eland is senior fellow and director of the Center on Peace & Liberty at The Independent Institute. His articles have appeared in such publications as the Chicago Sun-Times, Newsday, and USA Today, and he has appeared on the BBC, CNN, Radio Free Europe, NPR’s Talk of the Nation, and World News Tonight. He is the author of The Efficacy of Economic Sanctions as a Foreign Policy Tool.